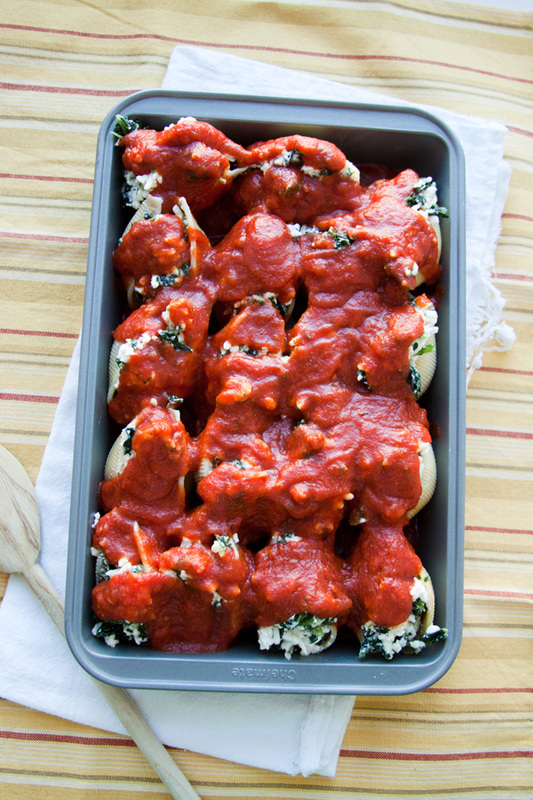 Mix cheeses, spinach and egg whites. Stuff into cooked shells and arrange into a 9x13 pan. Cover with spaghetti sauce. Bake at 375 for 30-40 minutes. Looks very yummy! You are so good to try new things! no, they are not gnudi, just pasta shells! Thanks for posting this. We had this for dinner the other night and LOVED it!